It was our fifteenth anniversary last week. 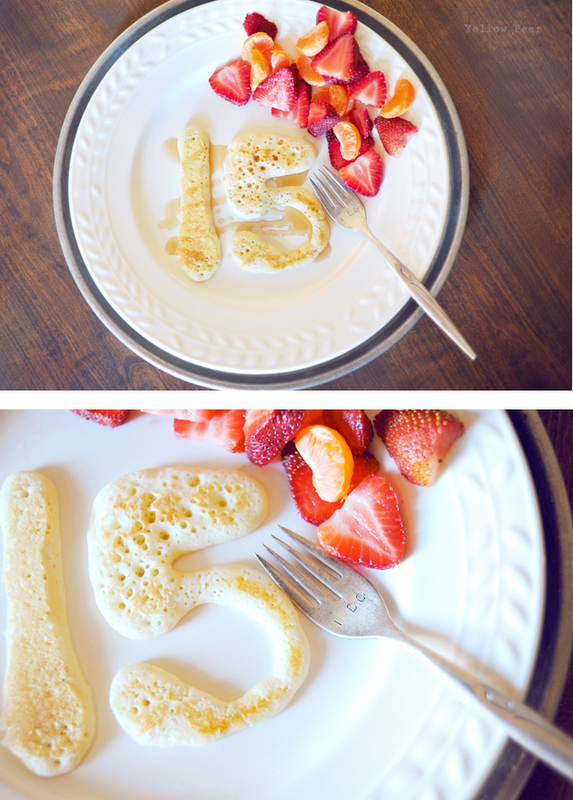 I made some special 15-shaped pancakes for the hubby's breakfast. And I gave him a hand-stamped (by me) vintage fork. He was so excited about the fork. Kidding. I was though. For months and weeks leading up to the big day, we tried to decide how best to celebrate. We thought of taking little weekend trips here or there but we don't have family close, which makes it difficult to go out of town. So after hemming and hawing and not making any headway, I finally had a lightning bolt of inspiration. We could easily stay in town and enjoy the day together while the kids were at school or with friends. A Stay-versary if you will. We decided to go to Fogo de Chao for lunch, which is one of our favorites, but it's a tad expensive. Also it's quite the drive...a little over an hour each way. But it was great to chitchat the whole way over and back on our mini road trip, eat lunch instead of dinner (which is more affordable), stop at a couple of shops and generally enjoy the time alone. Lunch was absolutely fantastic and we ate ourselves sick on Brazilian cheese rolls, fried bananas, salad bar offerings, polenta, bacon-wrapped filet mignon, Parmesan-encrusted pork loin and top sirloin. We also found some fresh Krispy Kreme donuts on the way back and made room for a glazed donut (or two), and promised each other diligently that workouts and better eating habits would start immediately...the next day. Also, can I just say that no donut will ever be the same. Ever. 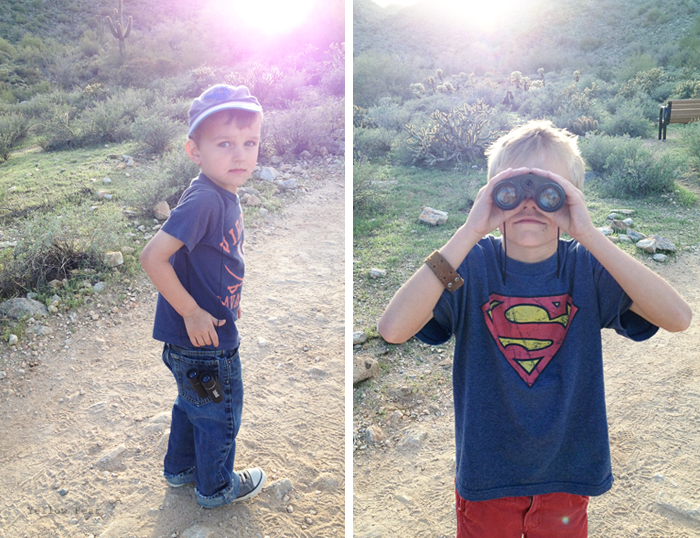 After picking up the kids from school and dropping the two oldest at piano, we took the two littles on our new favorite hike. It's a bit of a workout and we thought it would be a good way to burn off lunch. And the donuts. We started out...trying to beat the sunset and see how much of the hike we could get in before it was dark. The big kids have piano lessons right by our house, so they were to walk home after lessons and work on homework. As we huffed and puffed up the mountain, really feeling all those cheese rolls and fried polenta, we laughed about how much harder it was to climb when you are stuffed to the rafters. Q had been with friends at the zoo all day so he was tuckered out as well. About 3/4 of the way up the mountain, for some unknown reason, I stopped in my tracks, looked at the time and yelped. Everyone looked at me with mild alarm and I quickly blurted out that it was 5:40 pm and that Miss B had a Student of the Month assembly at 6 pm. I don't know how we forgot about it, but we did. Not my finest mother moment, to be sure. At that point, by some unspoken signal, we all started running down the mountain. I don't know how far we had to run back down the trail, but we were all in bad shape. The hubby had some back pain, Q had a stomach ache and I was sluggish, but heaved Q on my back and ran down the trail as fast as I could for as long as I could. Then we would walk, then run again. Q was crying, we were all red-faced and sweating. Dennis was a trooper and outran all of us. 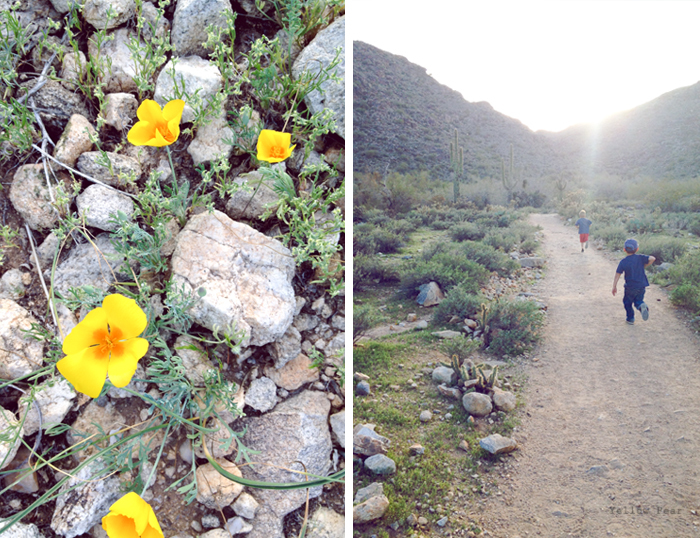 We were a rag-tag team of newbie hikers rumbling down the trail, half of us gasping for breath or a break. My pants kept threatening to fall off as I held Q tightly to my back and ran. Adrenaline was pumping however, and I was DETERMINED to make it, even though we still had a 10-15 minute drive home. Once at the van, (at about 5:56) I called the big kids, explained the situation and told them we were coming but would be late...hopefully only ten minutes. We got to the school at 6:12, panting and hoping we looked half-way decent, leaving a trail of guilt and dust behind us. Luckily a PTA meeting was scheduled before the actual awards were handed out, so we were there in plenty of time. The only awkward part was filing in late and looking like bedraggled, dusty, forgetful messes. Miss B got her award though and we were there to applaud and smile and then we all went out for ice cream. It was a very fine, crazy, relaxing, dusty day with lots of exercise. It was extremely symbolic of our life together thus far. We've done hard things and climbed mountains. There have been highs and lows, mistakes, misadventures, achievements and successes. And it's all been rolled into funny, crazy adventures with good food and kids running around. It was definitely one for the books. And I can't believe I ran down that mountain with a hefty Q clinging to my back. I can barely run down the block. Also I can't believe we've been married for fifteen years. Wow. Happy 15 years! I love the stamped fork! Turned out awesome! Happy Anniversary! 15 years, WOW, Awesome! Miss you guys!